Can’t see Buffalo trading Ristoleinen. 3 years left on deal at a really reasonable price. Their 3 oldest d men are entering last year of contracts. Doesn’t make much sense to trade the younger guy under contract. I don’t think Bowman trades Seabs or Keith. I also believe things sometimes have a strange way of working out. I wonder a lot how long Seabs can manage injury free without losing some lbs and getting a fitness trainer. He’s become so slow in his back check, something is inevitable. Turn the wrong way , hamstring or he sheds 20 lbs and build leg muscle and is indeed a force on 1 of the 1st 2 lines. Keith could use to do the same. If Bob gets CBJ past Tampa his stock will be insane- if he does not is it really his fault losing to a 62 win team? Is there a chance Keith goes to Florida? Yes there is a chance either Seabrook or Keith go to FL. Preferably Keith who is shorter term, lower cap hit, and can still skate well. As much as it would make no sense to acquire him, the Panthers need stability and leadership on the back end. He could mentor Ekblad or Matheson. You do not let Keith go without attaching Seabs , i say if they’d be willing as a pair and Fl made the offer then yes. I do think TB is a logical landing spot for Ristolainen if GMJB decides to trade him. TB has 5 D-men that will be UFA’s this summer with the 3 highest paid totaling 11 mil in cap this year and all 3 are over 32. Maybe the Sabres target Johnson or Miller who both can play center or the wing. The Sabres may have to take the last year of Callahan’s contract back in which Tampa would have to add a little extra in terms of a prospect or a draft pick. Risto has 3 years left on his contract at a 5.4 cap hit so no worries about having to re-sign him for awhile. Johnson has a NTC which I feel he’d be hard to convince to waive. 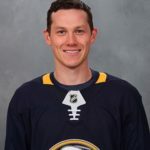 I don’t think Sabres will trade Risto. He and Dahlin could be a dynamic duo for many years to come. Skinner is important to keep but they shouldn’t hand him a blank check either if he gets testy with demands. Sabres need a goalie and forward depth. The best way for the Sabres to get back on track is via trades and prospects. It’s not a free agent hot spot. I fully expect the Hawks and Panthers to talk about either Keith or Seabrook. It would be a complicated trade as their age and contract terms are not appetizing. But, the Panthers need one of the two, preferably Keith, to act as a stabilizing presence on the D and bring leadership and mentorship. It could be a similar deal on draft day as when the Panthers acquired Brian Campbell, although not straight up for say a Matheson (Campbell traded for Olesz) as Campbell was 30 years old at the time of the trade. BUFF needs a goalie and scoring depth you say? Why not let Skinner walk and pitch for Bobrovsky and Panarin. If Seabs goes , i believe it’ll be Keith & Q , and possibly Tallon will be the biggest attributes. I hate to see them go but as a pair to FL. Then reunite in their retirement yr back to the team they retire with. I’d be ok with it. Before the season started Patrik Laine was getting $10m plus on his next contract. After finishing the season with 30 goals, his lowest since coming into the league and with only 6 goals over his last 44 games, that $10m has disappeared. I would think the best case scenario for Laine would be a 2 or 3 year bridge deal between $4 and $5 million. If he has a playoff with 20 goals then things may change, but we’ll wait and see. He may not be getting $10M but there’s no way he’s taking only $4-5M. Which team respectively which GM will try to get marner sign an offer sheet? The Minnesota Wild will…..that’s who.